Thank you for attending Library Legislative Day! 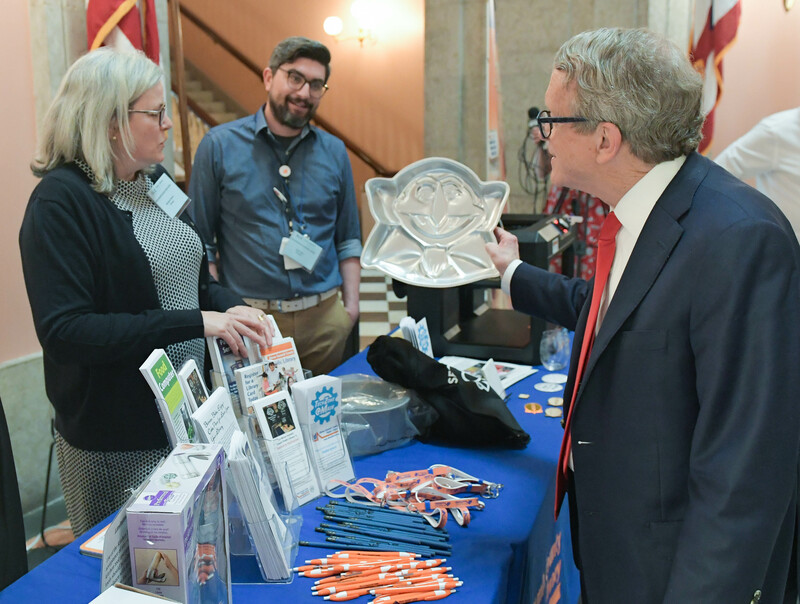 Thank you to the more than 275 public library directors, fiscal officers, trustees, and supporters that gathered at the Statehouse on April 9 to meet one-on-one with their members of the Ohio General Assembly during the OLC’s Library Legislative Day at the Statehouse. 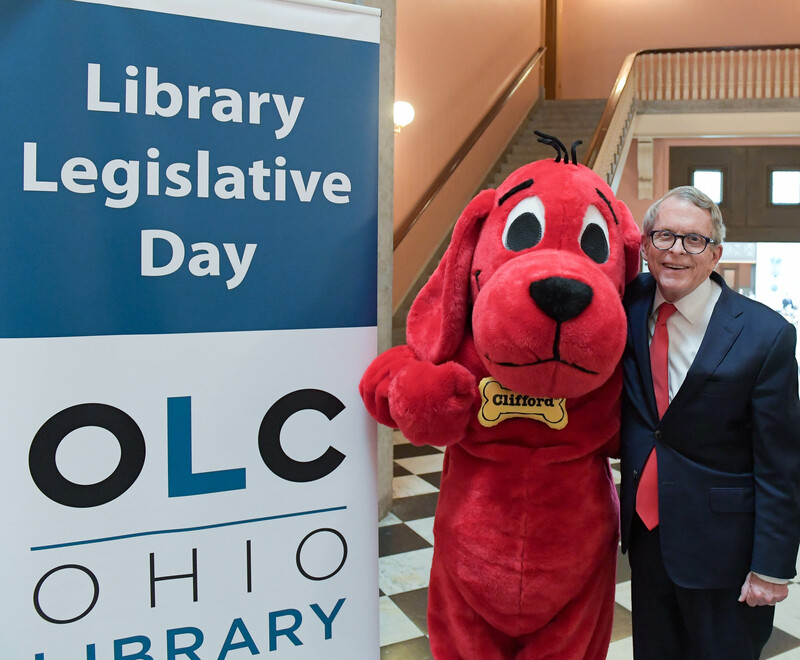 Ohio’s public libraries top issue, library funding in the biennial state budget, was discussed along with a myriad of innovative programs and services offered to Ohio’s 8.4 million cardholders. OLC Chair of the Board, Kacie Armstrong (center) joins library supporters from around the state for OLC’s Library Legislative Day. 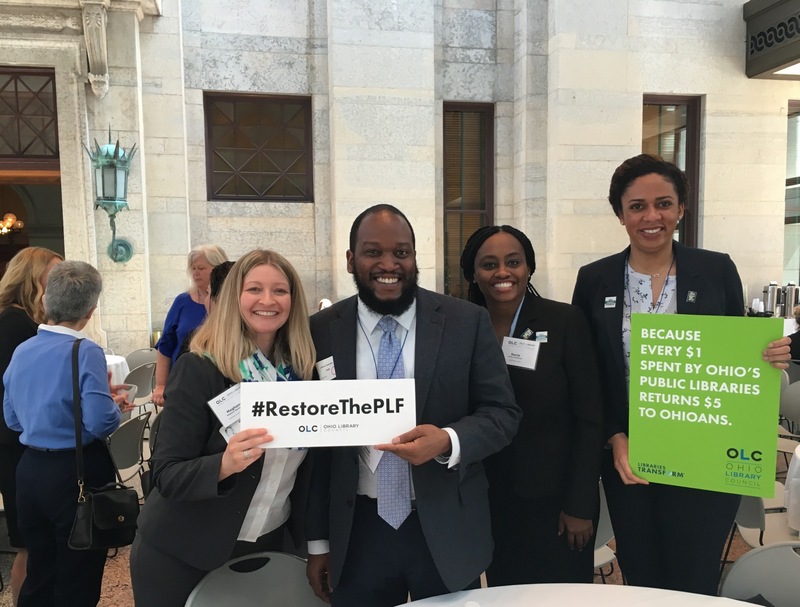 If you participated in OLC’s Legislative Day, please share some feedback from your meetings with legislators, and your thoughts about the day’s events. Complete survey.